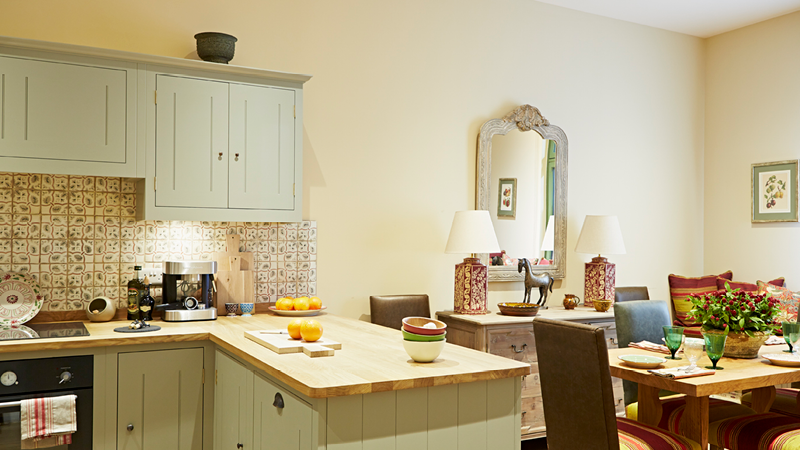 At Earthborn we’re often asked if a particular paint colour will look right in someone’s home. This is a tricky one to answer, as paint shades can appear totally different from one room (indeed one wall) to the next. And the reason for this is mainly to do with light. Finding your perfect paint colour is one thing (and no mean feat!) but knowing if it will actually work in your room is another matter entirely. In this post we’ll focus on choosing the best paint colours for dark, north facing rooms, which, in the UK, are notoriously difficult rooms to decorate. Now, we’re not usually ones for decorating ‘rules’ (seriously, who says your skirting boards have to be white!? ), but it’s true that there are certain colours that just work better than others in north facing rooms. What does it mean to have a room with north facing light? Let’s be clear! Rooms with windows that face north receive little warm, bright sunlight, and the light coming into the room will often feel cooler and darker than other rooms of the home. Even a north facing room with big windows can still appear quite dark. Most of us have a room with at least some north facing light in our homes. If you want to make your space feel as bright and airy as possible, choose a white paint colour with a warm undertone (that means no cool greys or stark whites!) Earthborn Claypaint in White has a naturally warm undertone due to its high clay content. Less harsh than many whites, it is a creamy white paint that’s suited to virtually all room types. 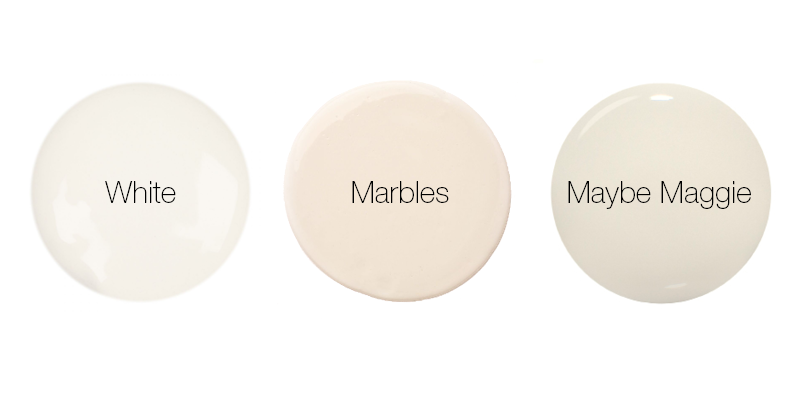 For something other than white, but still light in tone, choose warm neutral paint colours like Marbles or Maybe Maggie. Marbles is a true neutral (a creamy, ivory off-white shade), whilst Maybe Maggie has a warm yellowy-pink undertone which will counter the cool light in north facing rooms. You may find that many whites and off-whites look strangely dingy in your north facing room. Contrary to popular belief, painting a dark room in a white paint colour won’t necessarily make it feel any lighter, especially if the room has a cold light anyway and the white in question has a cool or grey undertone. Sometimes it’s better to go for a warm colour in a light to mid tone. Straw is a warm neutral paint colour that will give your walls a glow without being overpowering. It works really well with most other colours but for extra warmth pair with reds and oranges. Many blues and greens aren’t suitable for north facing rooms because they enhance the feeling of cold. However, using warm, earthy greens like Sunday Stroll will help to create a relaxing feel in the cool light of these often dark rooms. This shade is especially perfect for a creating a warming, cosy living room. Just because you are decorating your north facing room doesn’t mean you can’t go for grey here too. 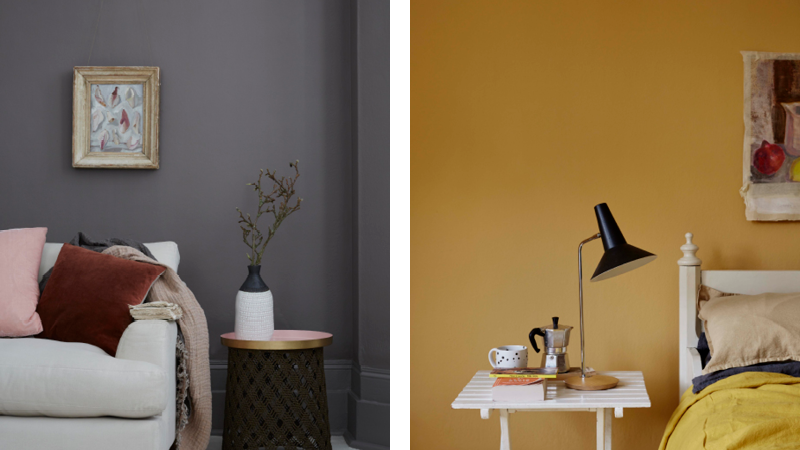 Just be sure to choose greys with a dose of pink or yellow; Rocky Horse is a dark, tactile grey-brown that creates instant cosiness, whereas Trilby – our Colour of the Month for November – is a deep, warm shade of grey, which, unlike many greys, has yellow based (read: warm) undertones. For a pale grey paint colour suitable for a north facing room, we’d suggest St John (a nearly grey shade) or Cat’s Cradle which has a rich, warm mid-grey undertone. Think you can’t paint an already dark room in a dark paint colour? Think again! Instead of fighting against the limited light in shadier, north facing rooms, dark, rich colours allow you to create a cocooning, comfortable feel. Humpty Dumpty is just the job for bringing some warm sunshine into dark, north facing rooms. A slightly mustard tone, it doesn’t contain any green (commonly found in many mustard colours) so is a true ochre shade derived from natural clay. 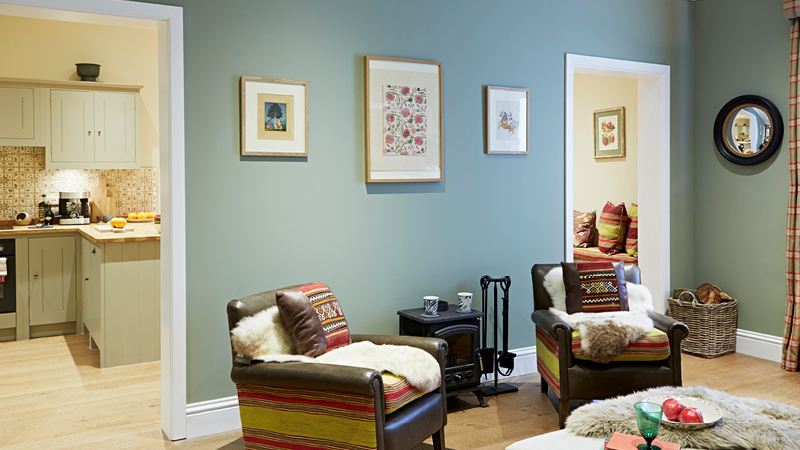 Opting for jewel-like, highly pigmented warm paint colours can work wonders in north facing rooms. Our favourites are Hobby Wood or Flower Pot, with their richly toned warmth. Flower Pot (left) is a warm terracotta colour taken from natural clay. 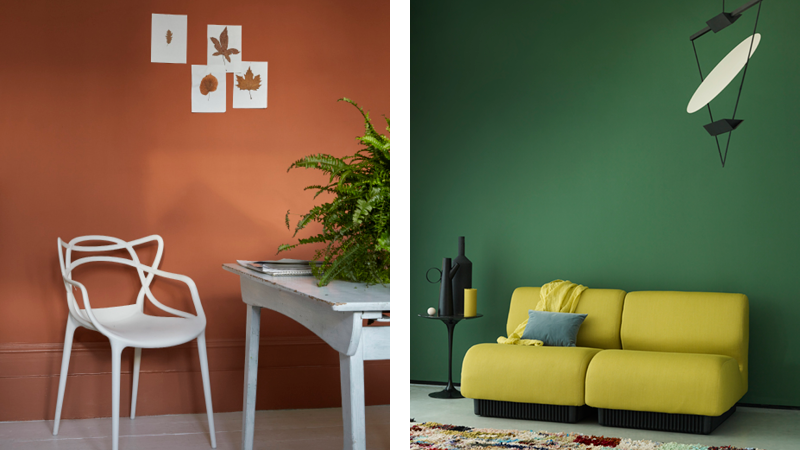 Rich, luxurious colours like Hobby Wood (right) help to create an intimate atmosphere in north facing rooms and allow other colours to pop. Have you used any of our recommended paint colours, or do you have other suggestions for painting dark rooms? We’d love to know! Head over to our social channels to send your pics and share your projects.